"There are many Dutch websites out there that provide access to genealogical records. Many of them use a search form that is available in Dutch only. Knowing the standard terms will enable you to use these forms." Yvette lists (and translates) Dutch words and phrases that you may encounter on search forms for online genealogy resources, such as Genlias. Many of these phrases are specific to website search forms, and are therefore not listed in my Dutch genealogy dictionary (this dictionary is based on actual acts, not on websites). 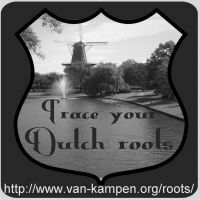 A very useful list if you are tracing your Dutch roots online. Thanks for linking to my article, Henk! I think our websites really complement each other.